Ear protection isn’t the most stylish or fashionable thing to wear and it can certainly impede your ability to have a conversation. Many people see and read the signs around industrial areas that highlight the importance of wearing PPE, but many people chose to ignore their warnings and carry on with their jobs without wearing any sort of protection. 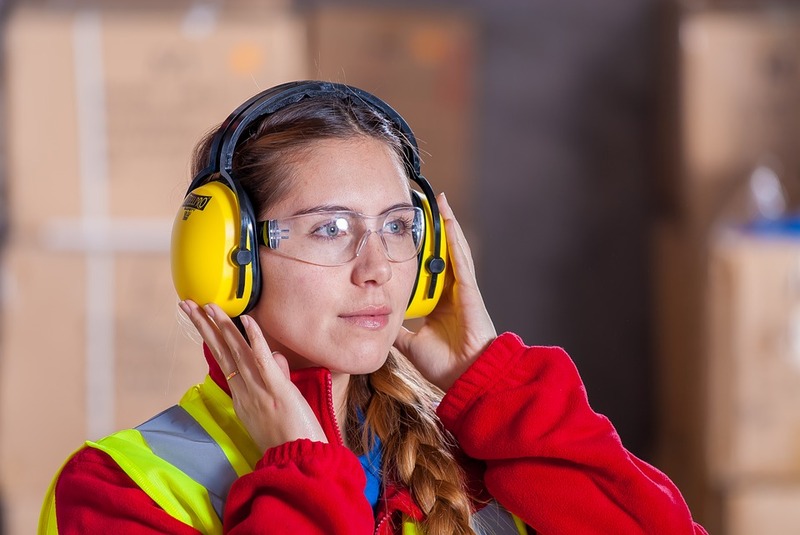 Wearing hearing protection is incredibly important in order to prevent noise-induced hearing loss and other noise-related health conditions, and it’s important for employers to ensure their workers are wearing the correct PPE to ensure that they are not liable for any injury-at-work claims in the future. Read how the doseBadge5 from OHD helped a group of factory workers in Ireland understand the importance of wearing hearing protection in our latest case study. It’s not always easy to get people to do what we want all the time, but when there is the possibility of future claims for noise-induced hearing loss, then employers cannot afford to feign ignorance. Acoustic Engineer Bernard Fogarty has 30 years’ experience in noise measurement and there are very few scenarios he hasn’t come across during that time. Unfortunately, one issue that continues to crop up is employees who show a stubborn reluctance towards wearing hearing protection. Bernard was asked to undertake an acoustic study for a well-known drinks manufacturer based in Ireland, who was concerned over noise levels in one particular plant where employees were regularly seen by-passing noise protection equipment. Bernard purchased 13 doseBadge5 personal dosimeters from OHD/Cirrus Research to enable him to comprehensively monitor a group of employees over a five-day period, on a 7.30am – 3.30pm shift. “This is a company that takes employee welfare extremely seriously and they needed to have up-to-date and accurate data to establish if noise levels were going over the 85db limit, and for how long,” he explained. “I had some of the workers telling me they already knew the noise levels were fine and so they didn’t need hearing protection. The data I was collecting was actually going to be an education process for the employees, as much as letting the company know if there were any issues around noise levels”. The plant environment where Bernard was monitoring is processing-based with drink manufacturing and bottling all taking place under one roof. The factory has been in operation for some time and the noise levels on the factory floor were exacerbated by some of the older machinery – metal on metal, bottle on metal – that couldn’t be engineered out. Over the course of the five-day period, the range of noise captured by Bernard spanned from 80-87dBs – right on the cusp of the Noise at Work limits. “For me, the most important feature of the doseBadge5 was the ability to set the start and finish time,” said Bernard. “When you are working with 13 individuals it is always going to be difficult to get uniformity across the group; people set the doseBadge off at different times, sometimes forgetting altogether, and then you have lost a day’s data without knowing it until it is too late, and that is a worst-case scenario. “Being able to set the start and finish times ensured I had absolute uniformity across the data and the graphs were crystal clear for both the employers and employees to easily understand. Located on the shoulder, the doseBadge5 gave me very precise data and I was also able to take out lunch breaks with noisy chatter and shouting for even more clarity. Overall, everyone was happy with the outcome and the Noise at Work limits are now much more clearly understood by the employees, who are taking the necessary precautions to protect their hearing in the workplace.